If you own or rent your residence and have a home office, the Internal Revenue Service permits you to deduct certain expenses on your federal tax return that you wouldn’t be allowed to deduct if you didn’t maintain an office in your home. Whether you can deduct the costs you incur to renovate your home or office depends on the scope and nature of the work you plan to have done to your workspace. Whether or not you will be able to deduct the cost of renovating your home office will depend upon whether or not your expenses are considered a repair or permanent improvement. According to the Internal Revenue Service, a repair is a project that is done to maintain your home. The costs related to a repair, including supplies and wages paid to laborers other than yourself, can be deducted on your federal tax return up to the percent of the total repair cost that equals the percent of your residence that is dedicated to being your home office. For instance, if your home office takes up 15 percent of your home’s total square footage and you spent $100 to fix a leak under your kitchen sink, you would be able to deduct $15, or .15 x $100, of the total expense on your federal tax return. This means that if the renovation of your home only involves making minor repairs such as replacing a water heater or painting a room, you will be able to deduct a percentage of the combined total of your renovation costs as an expense on your tax return. 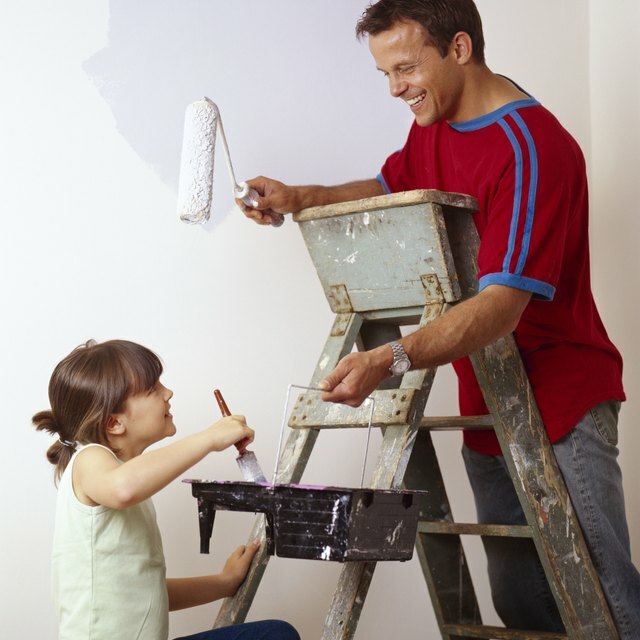 A permanent improvement is a project that makes your residence more valuable, longer-lasting or changes its use. If your renovation involves making permanent improvements, the Internal Revenue Service considers the expenses related to the renovation to be capital expenditures that will be depreciated over time. If a permanent improvement includes minor repairs, the costs to make those repairs are included in the overall cost of the renovation, meaning they will be depreciated and you cannot deduct them separately on your taxes. Examples of permanent improvements include making additions to your residence, replacing an old roof and redoing your home’s plumbing. If you began using part of your residence as a home office in 2012 or after, the Internal Revenue Service requires you to depreciate your dedicated workspace as nonresidential property using the modified accelerated cost recovery system. Using the modified accelerated cost recovery program’s straight-line method, you will deduct the depreciable basis of your office and the percentage of permanent improvements attributable to it over the course of 39 years. Since the amount of the expenses you pay to renovate your home are either deductible or depreciable, only up to the percentage of your residence that you use as your office, you must know your home’s business percentage to determine your deductible repair costs and your depreciable improvement amounts. You can calculate your business percentage by dividing the area of your office by your residence’s total area. Alternatively, you can divide the number of rooms used exclusively for work purposes by the total number of rooms in your home if all of the rooms are close to the same size.